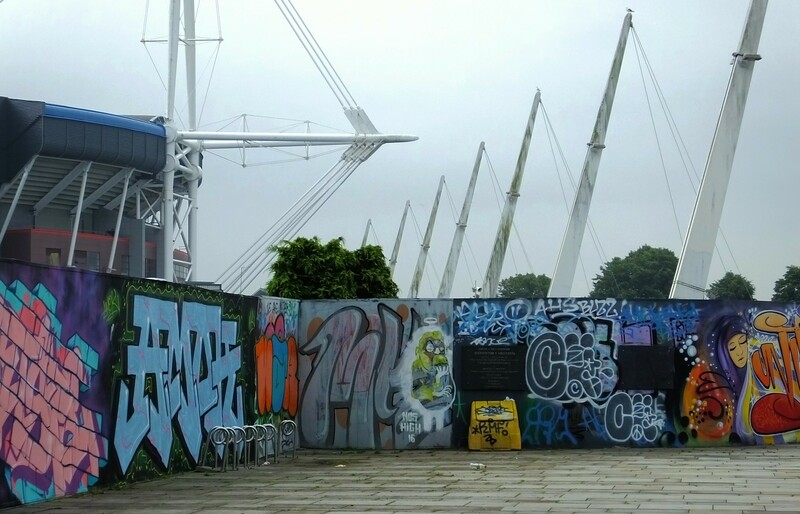 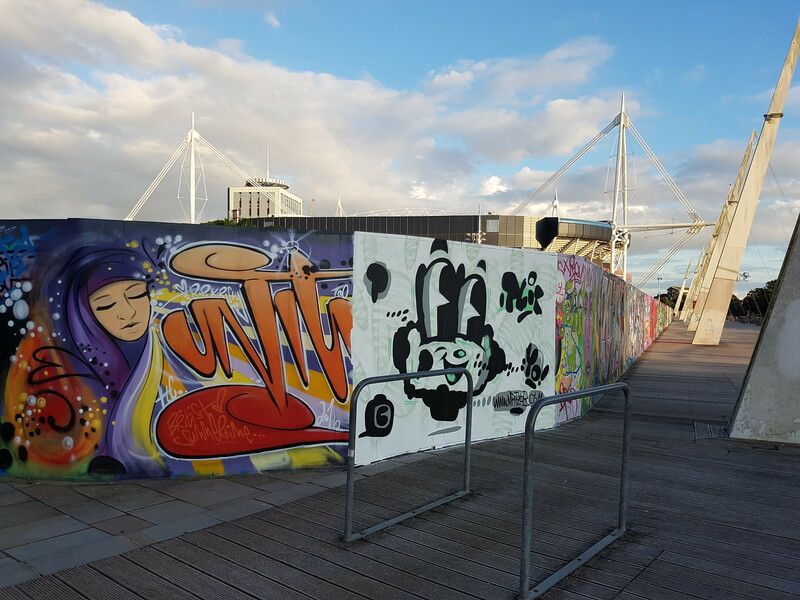 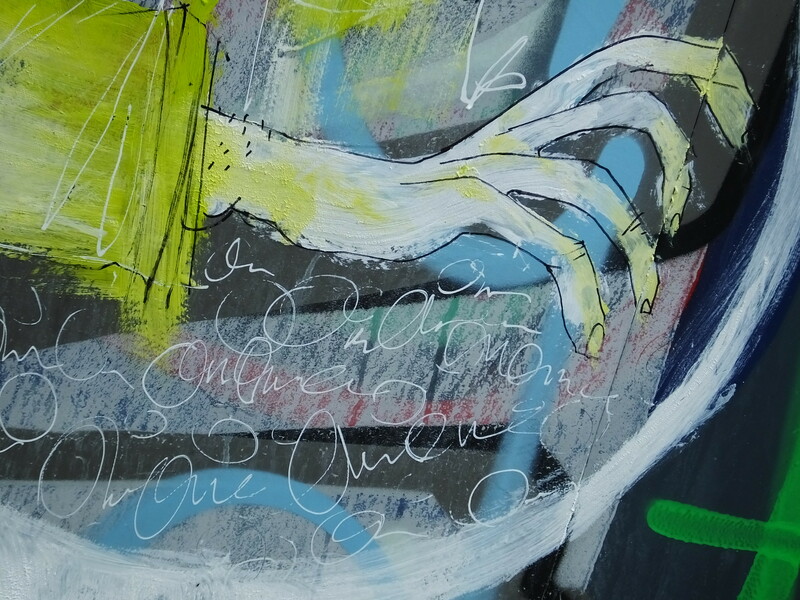 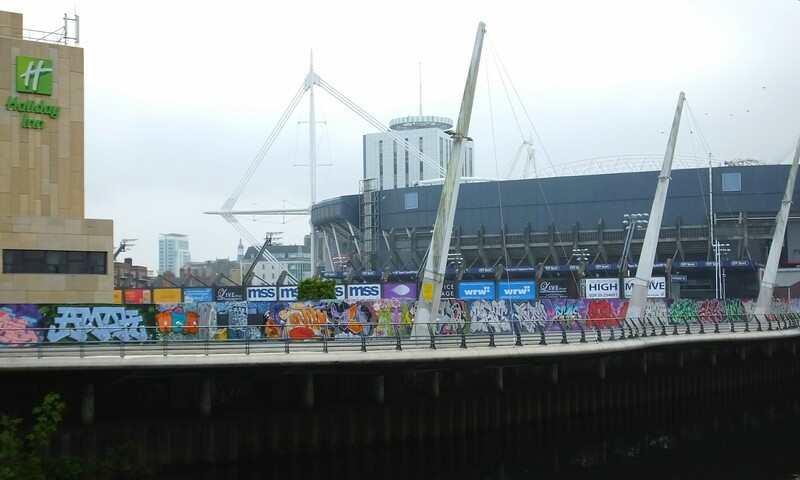 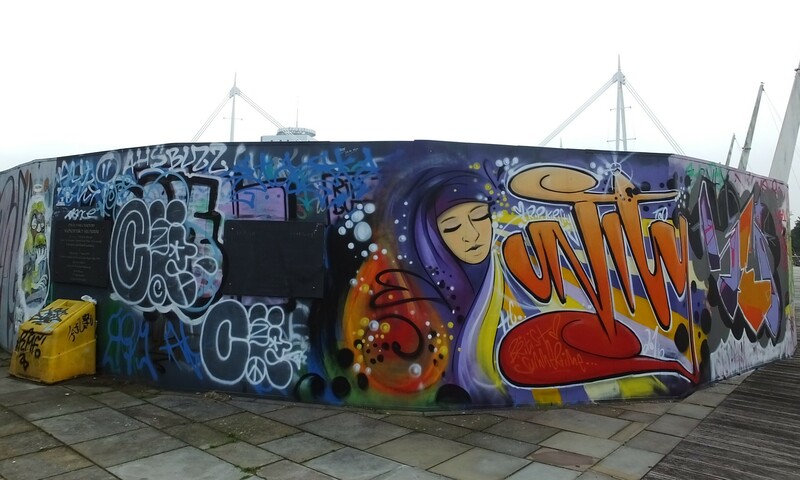 A leisurely bank holiday weekend stroll down the Millennium Walkway revealed a whole host of new work from a range of artists, including some new ones to the city. 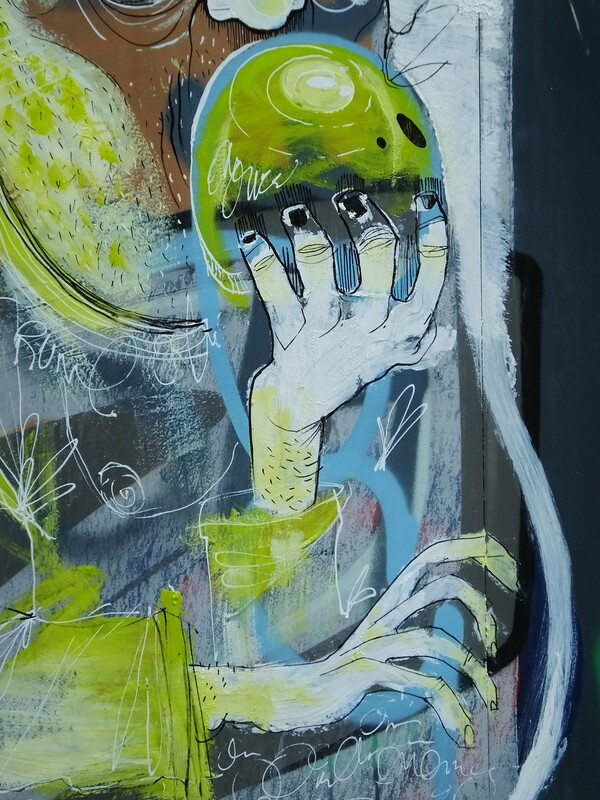 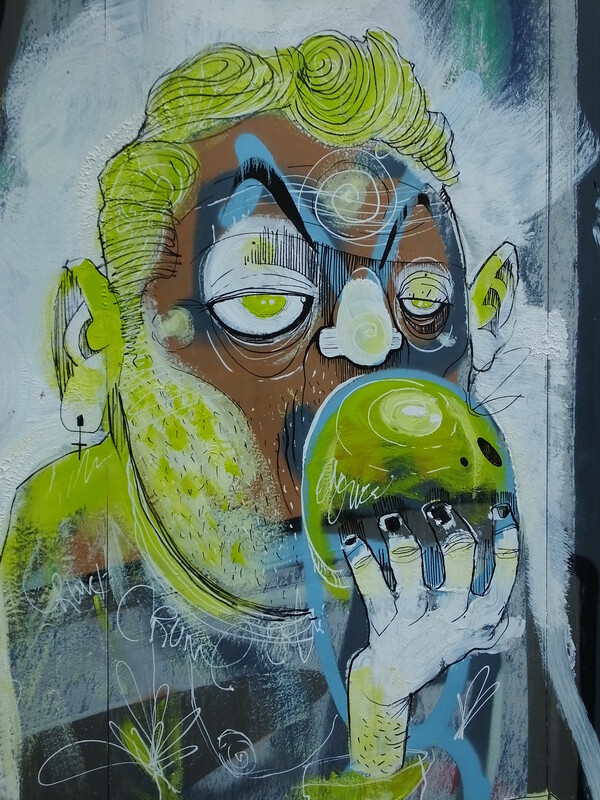 Nestling amongst a corner was this mixed media piece featuring an apple munching character in a mixture of paint, ink, pens, plaster, tippex…. 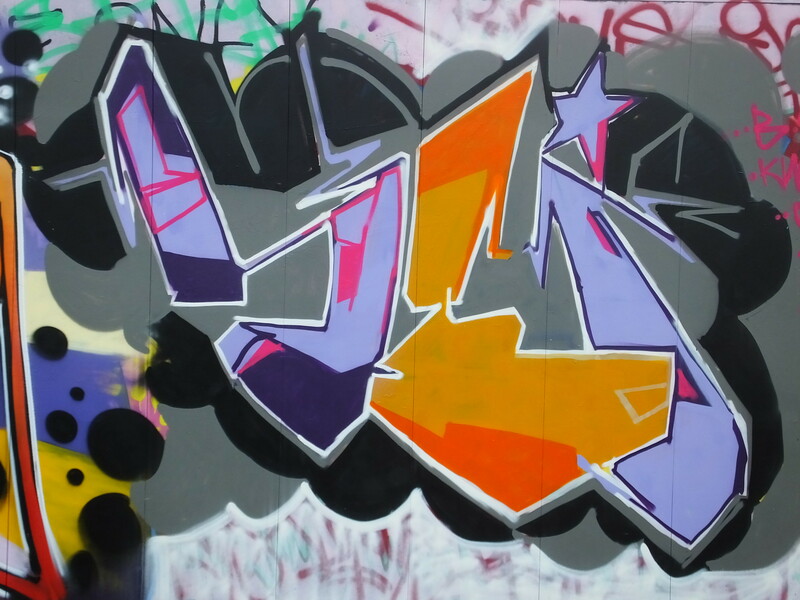 loads of ‘stuff’! 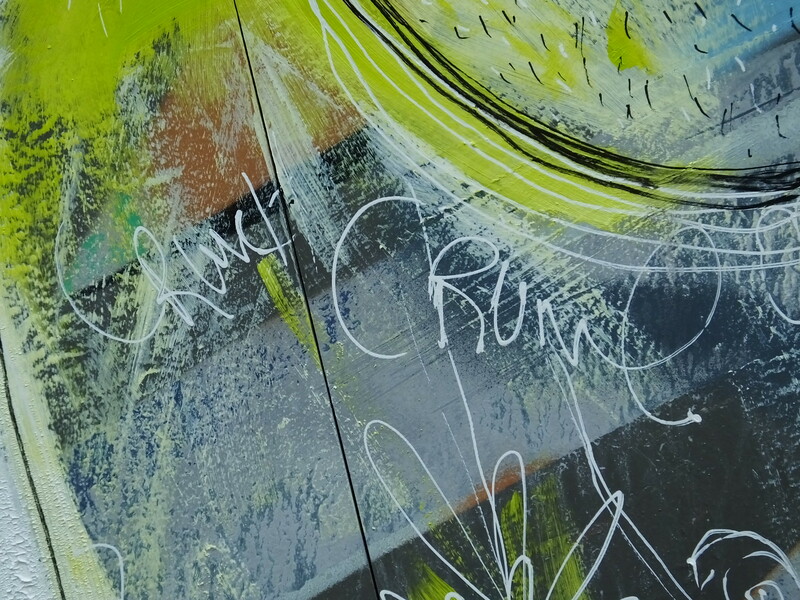 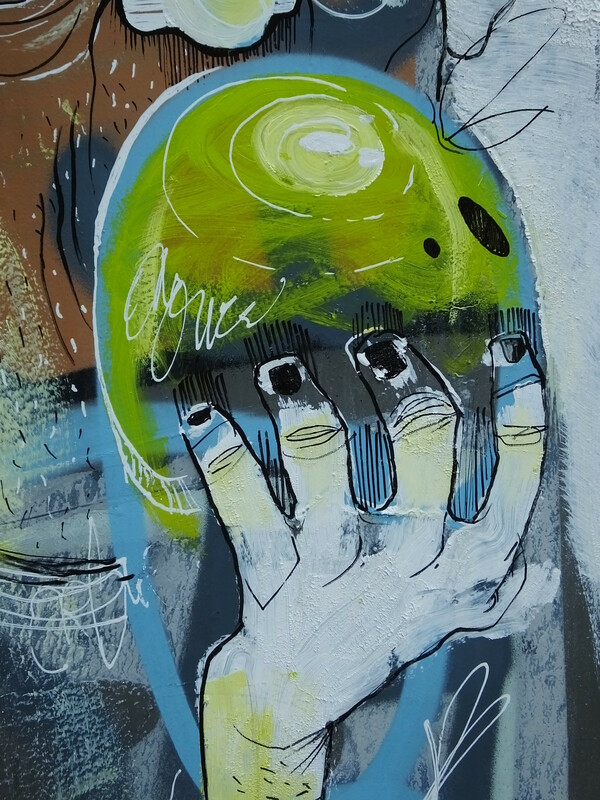 Fantastic use of colours and textures with the ink lines adding great character with other details of text like ‘crunch’ near the apple. 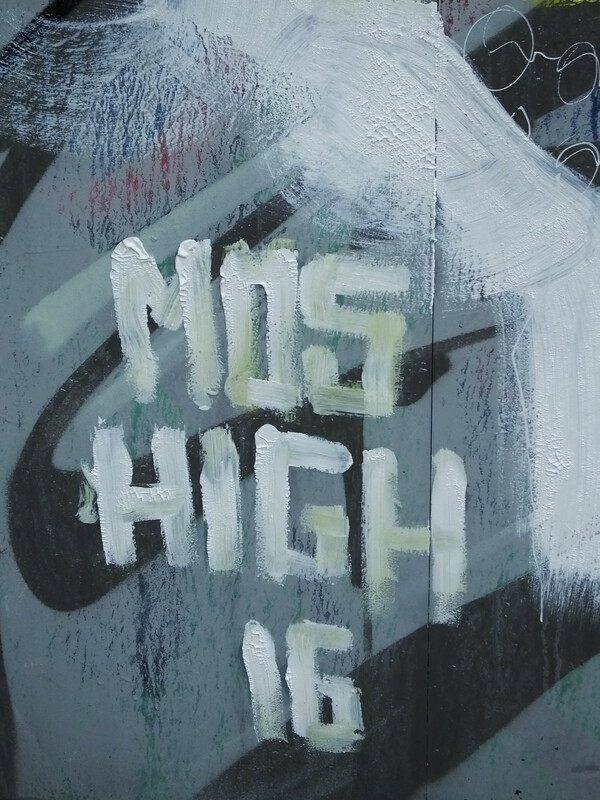 Complete with the tag ‘MOS HIGH 16’ – nothing else is known about the origins of the work – get in contact if you know more! 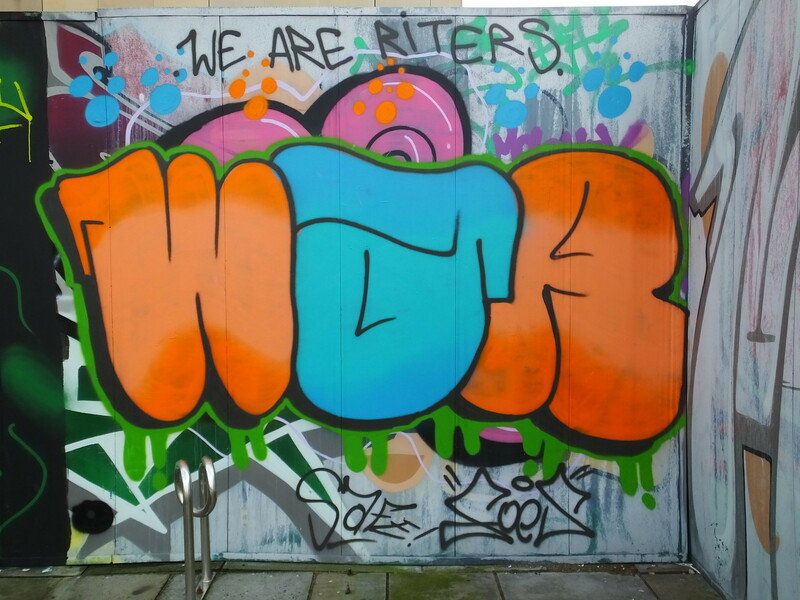 Sitting right next to this was a quick ‘We are riters’ throw up in orange and blue colours. 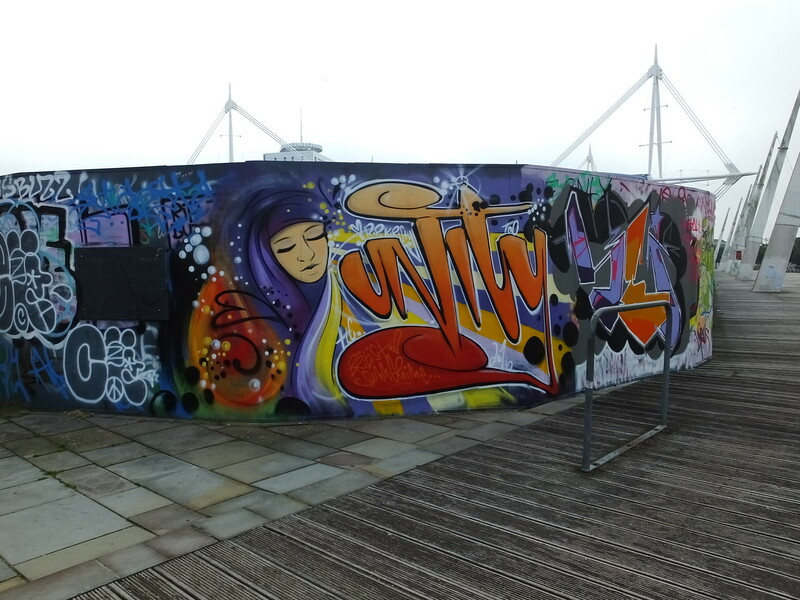 Millennium Walkway regular Unity painted next with a tribute to Kirsty. 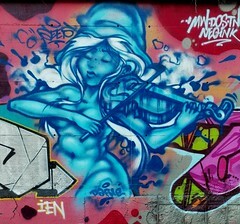 And next to this stunning work was new work from a friend featuring a similar colour palette too. 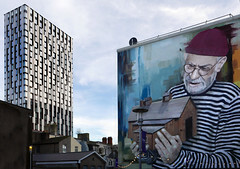 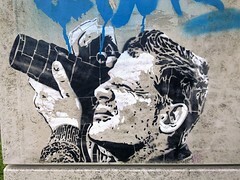 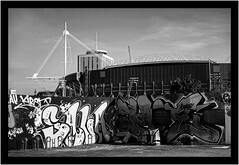 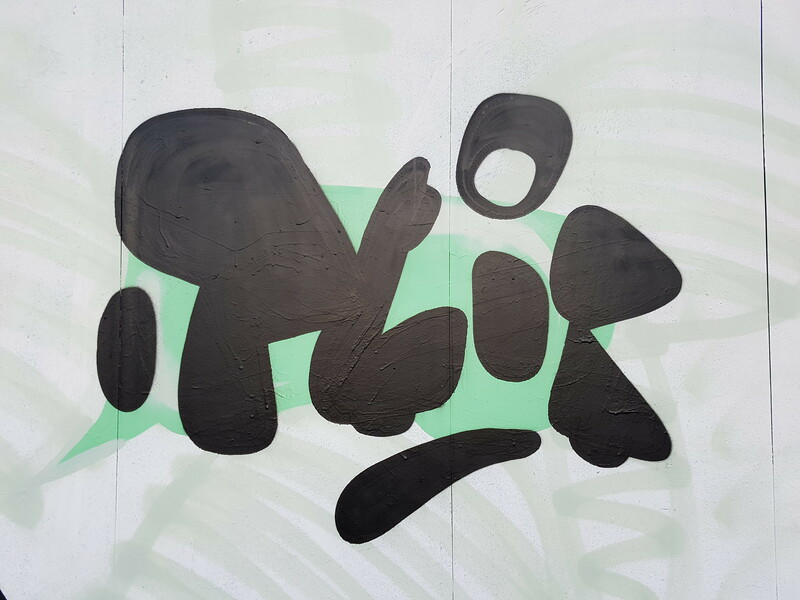 Lasting for only a few days before new worked popped up from West Wales artist Mr Plob. 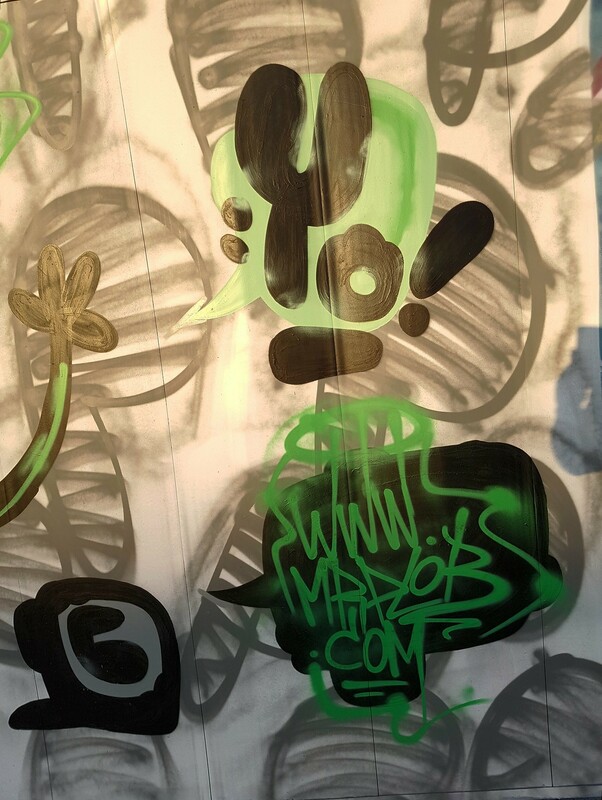 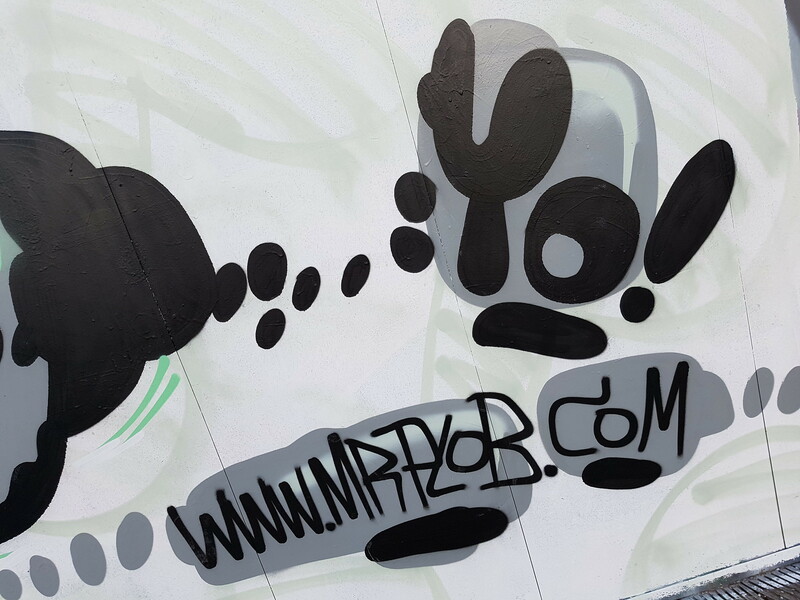 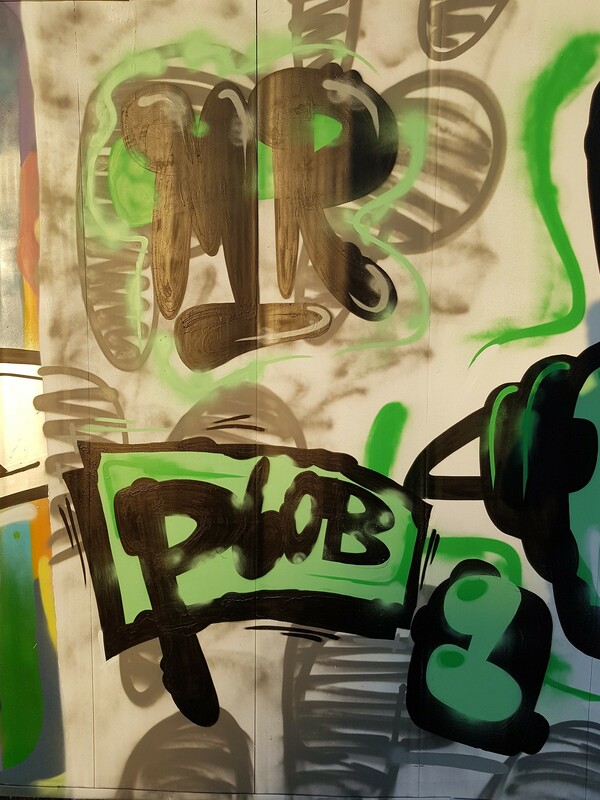 Painting his trademark floating robot character in black with lime green highlights – complete with a Plob and Yo! 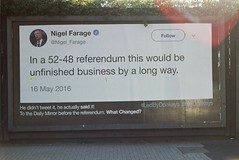 addition too. 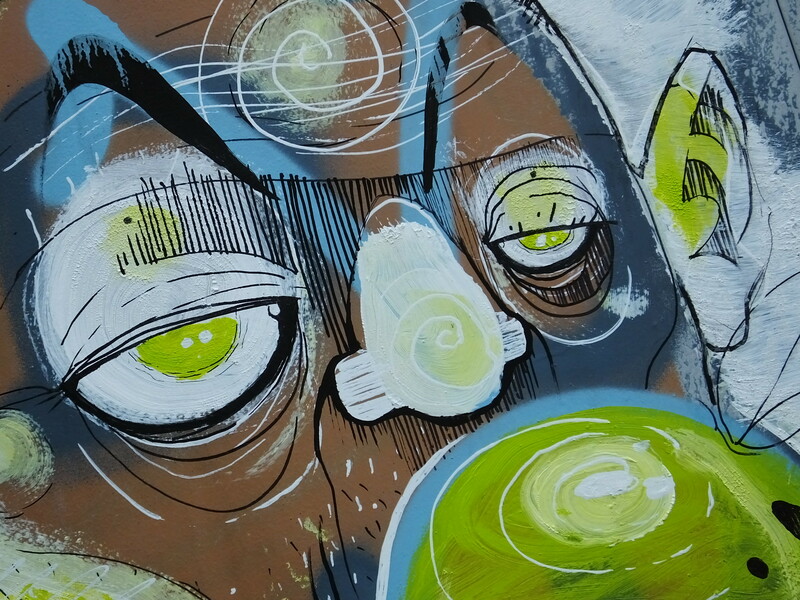 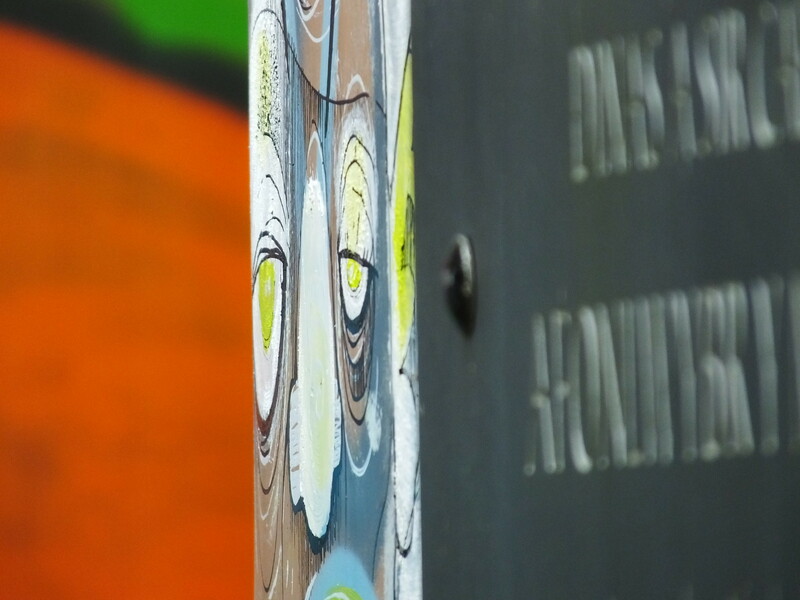 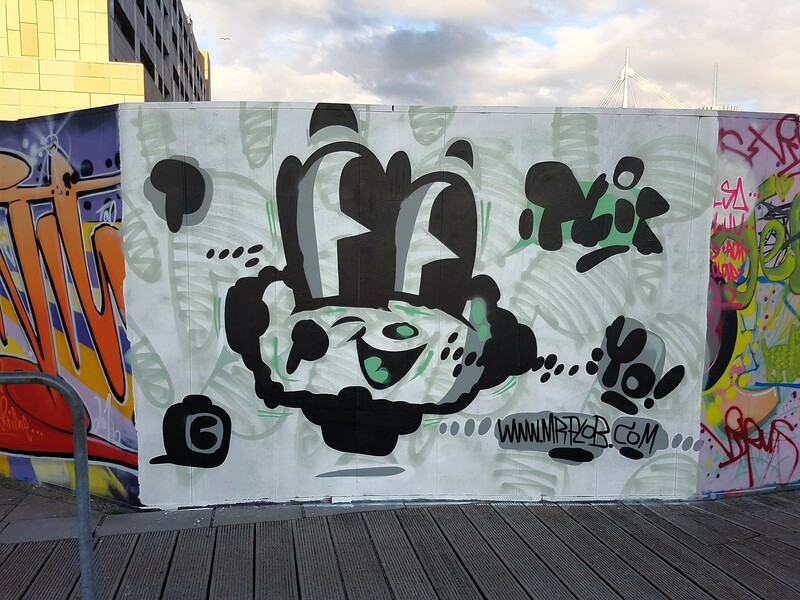 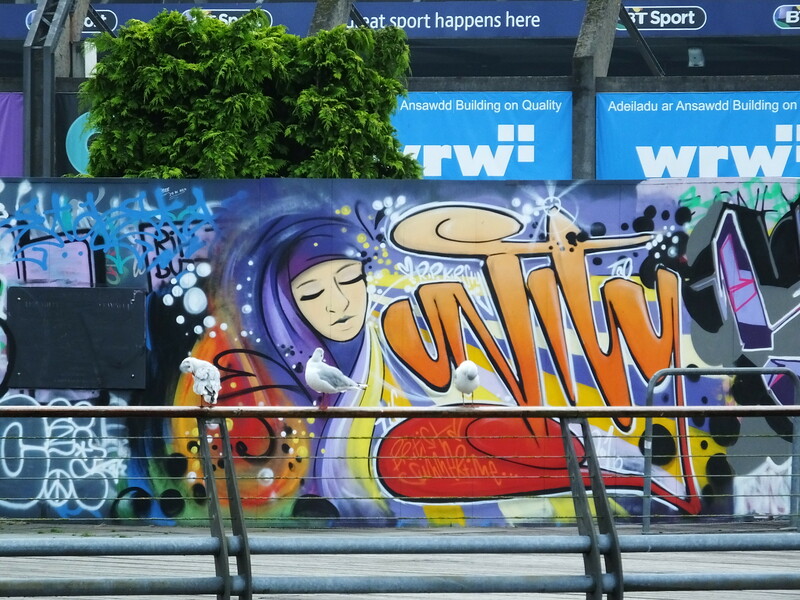 Further along the walkway and another piece from Mr Plob with a variation on a theme – this time green with black! 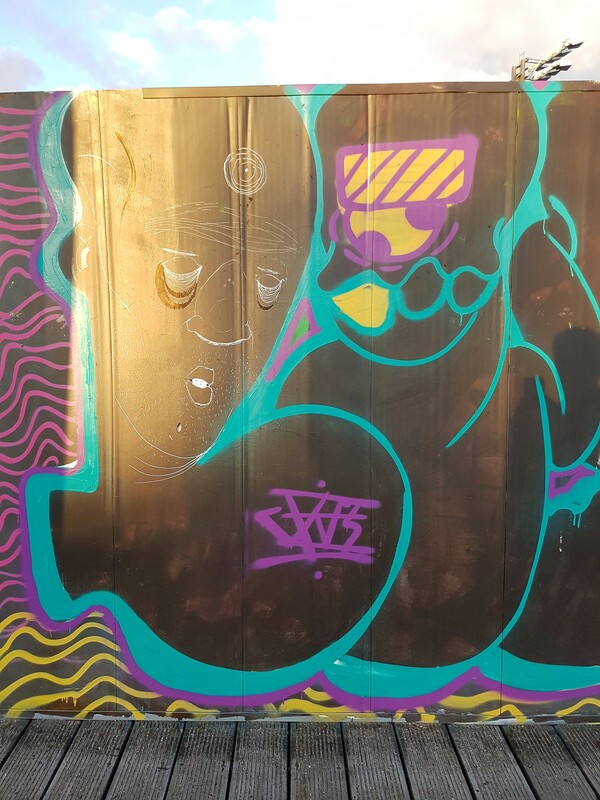 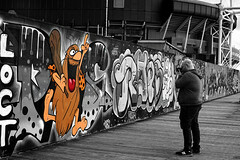 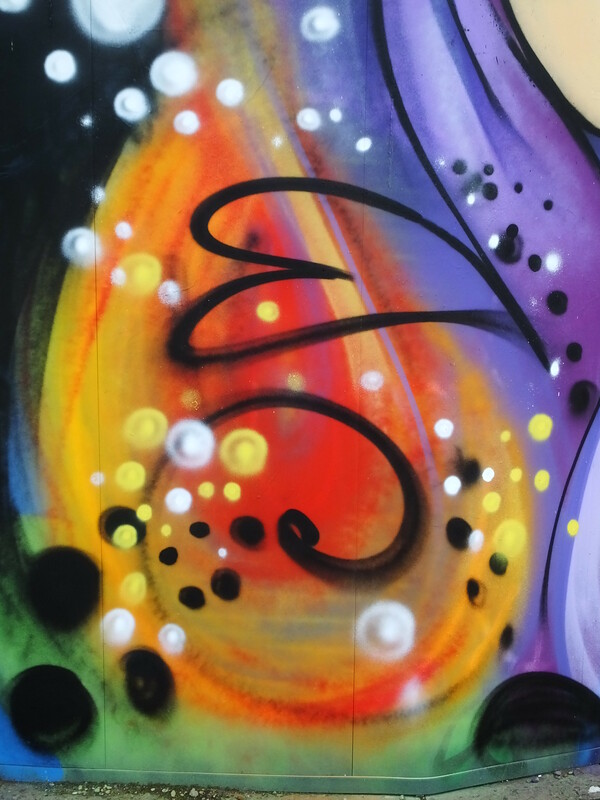 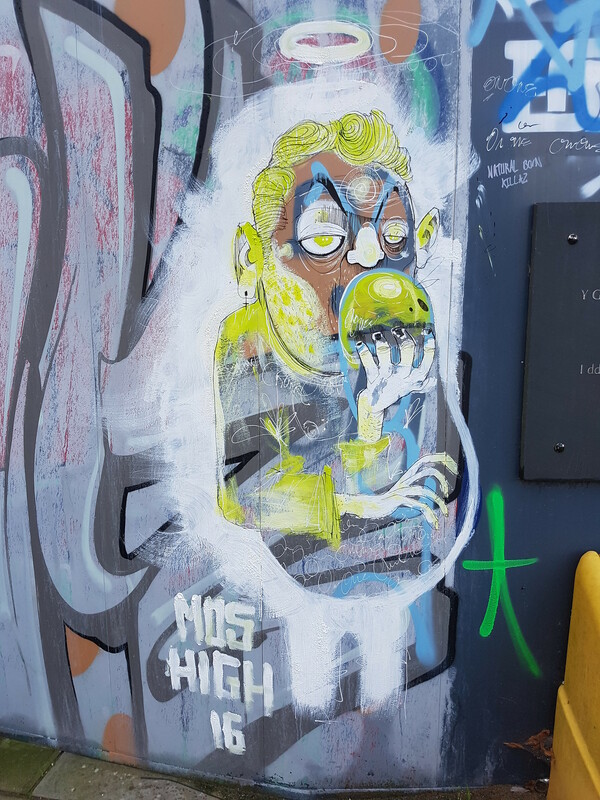 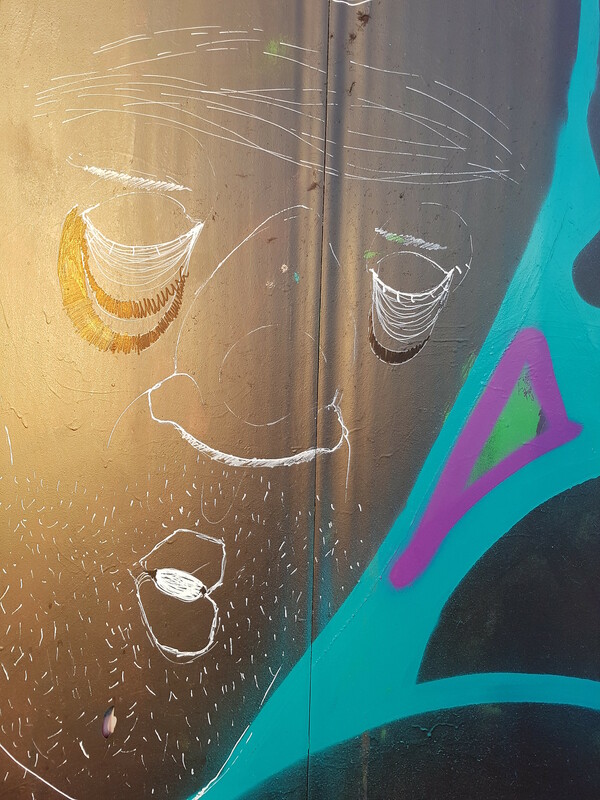 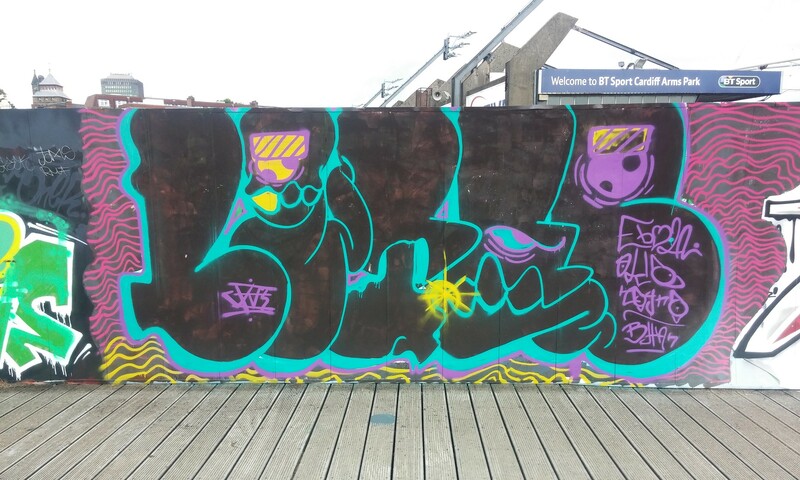 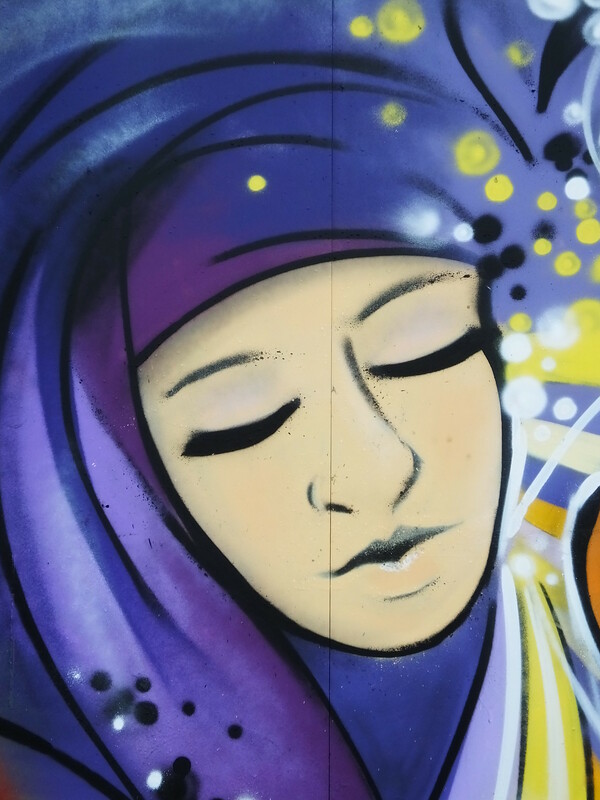 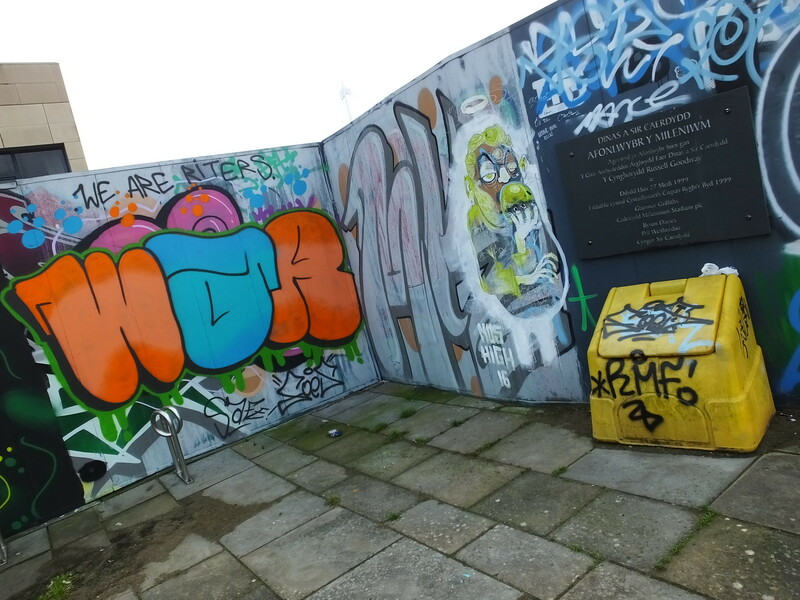 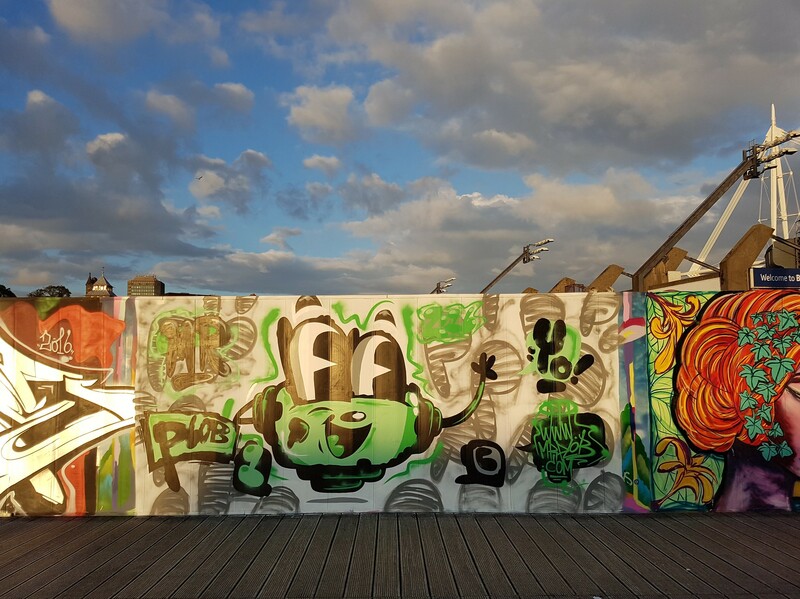 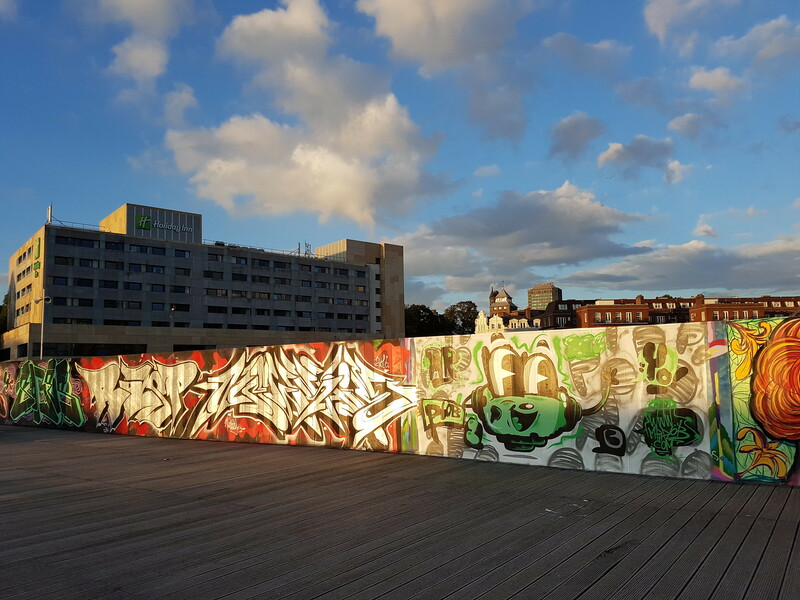 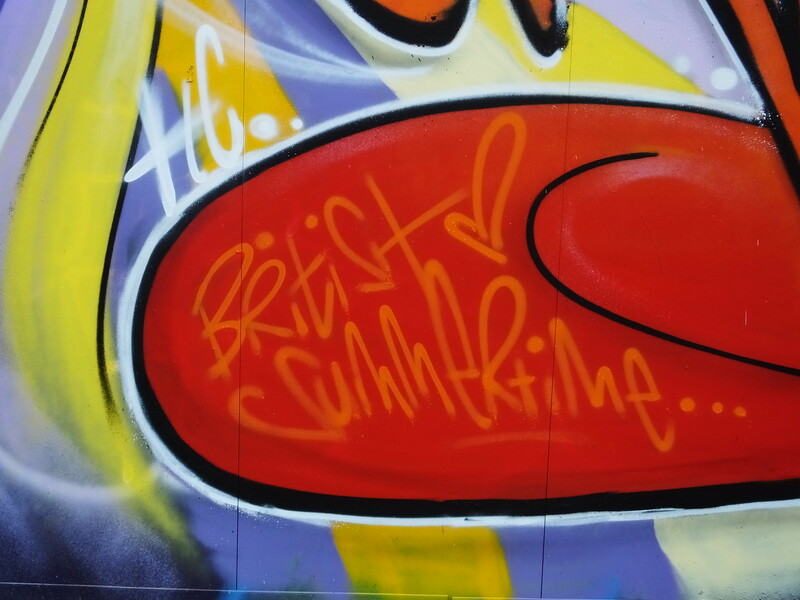 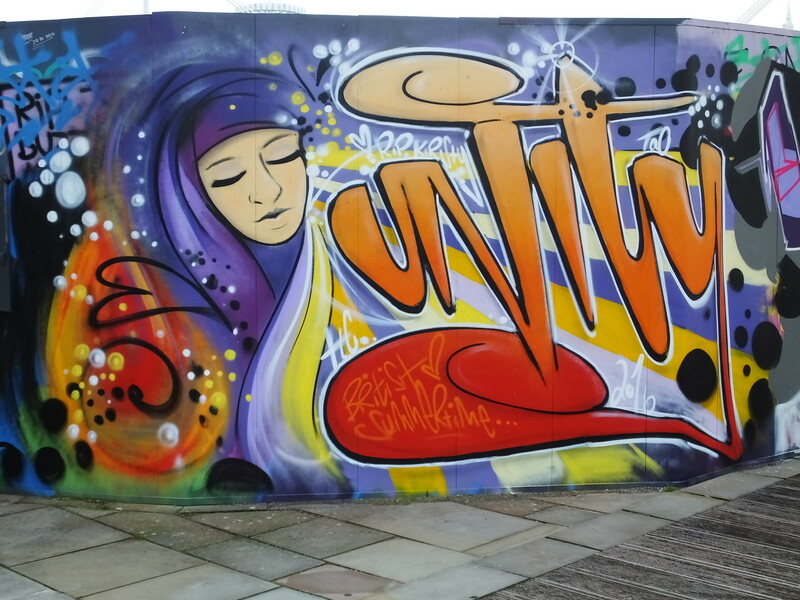 Whereas it seems the artist from the MOS High piece had also added something to this older piece from the boardwalk – simply stunning! 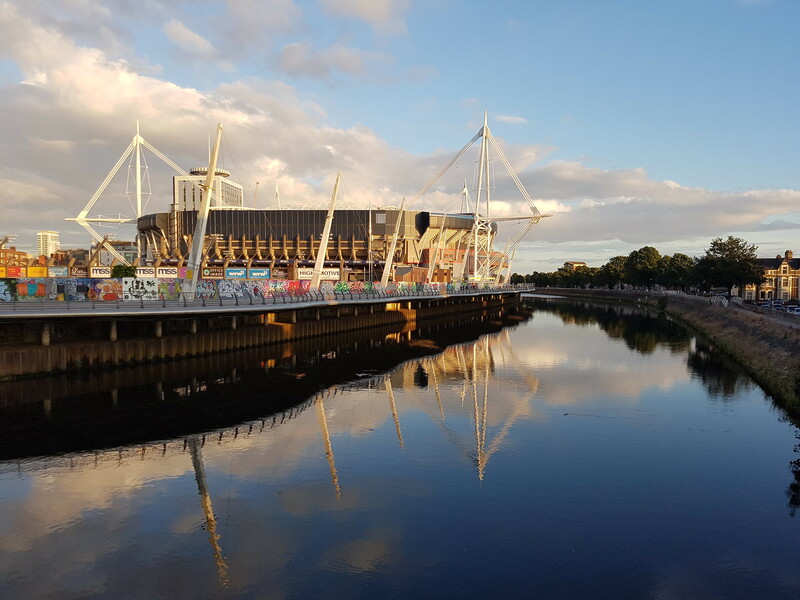 It’s always worth a wander past here with such beautiful sights on offer!